Industry News, Current Specials and our Service Programs. TRUMPF Metal Shears provide plumbers, electricians, HVAC specialists, and container construction with a variety of electric shears which are designed to make your job easier. TruTool Metal Shears have great maneuverability around curves, even on tight difficult radii. A TRUMPF Power Nibbler can process sheets 0.02 in. or 0.4 in. thick, without feed force, distortion, emissions, or sparks.The perfect Power Nibbler for plumbing, coil cutting, and container and tank assembly and dismantling. Ideal for work in hard-to-reach areas, for cuts across edges and weld seams. The speed control is highly efficient for work with scribed lines or with a template. Considering your own sheet metal or roofing project? 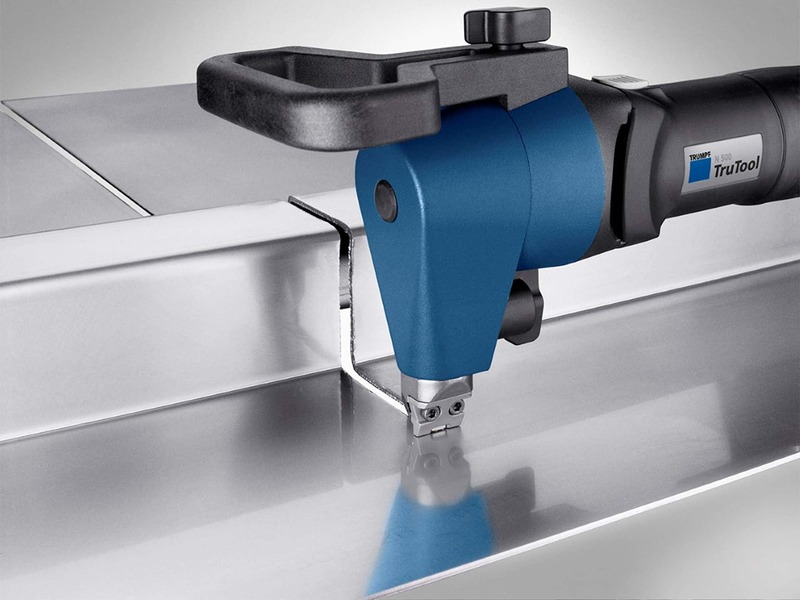 TRUMPF’s Slitting Shears are portable and easy to use, an ideal choice for when cutting spiral duct or machining pipes. 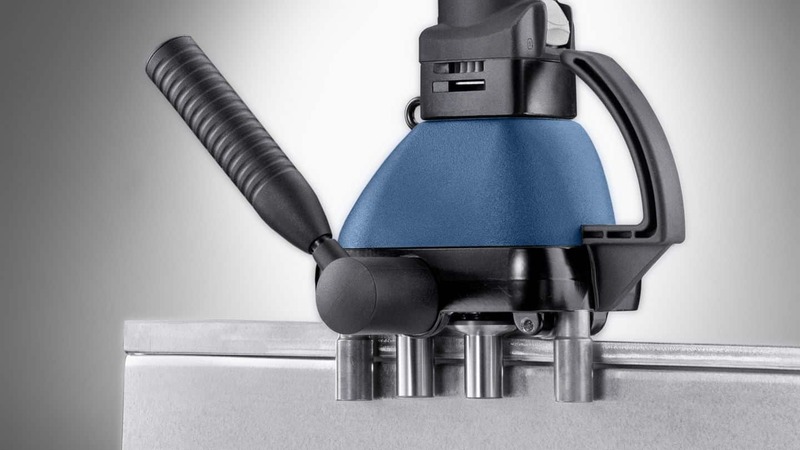 The TRUMPF design makes cutting easy and accurate with a clear view of the cutting line through the open front head. This allows for easy right and left curve cuts that are distortion free. Rechargeable Batteries make a perfect balance of drive performance and run time. The TRUMPF Seam Locker series is perfect for offering reliable and efficient sealing. 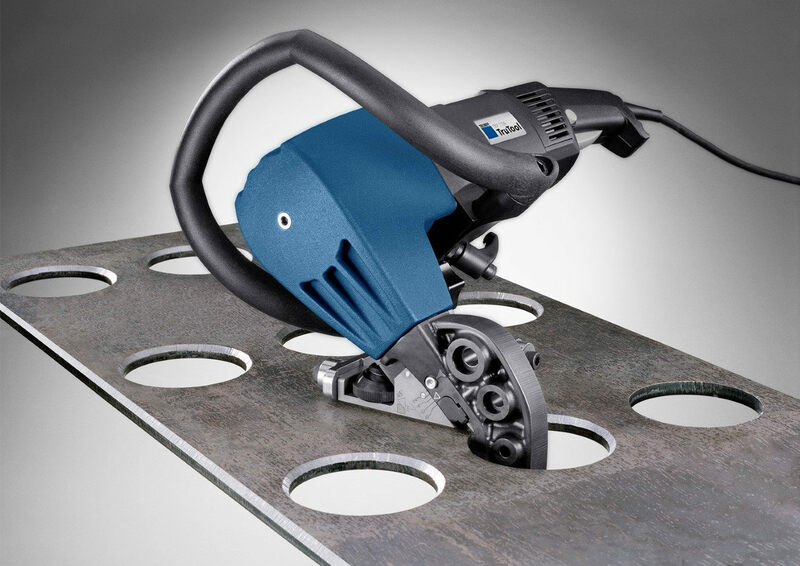 Very portable and hand held, these fastening seam lockers are ideal for assembly at the job site; whether standing, angular or Pittsburgh seams the TRUMPF Seam Lockers are the right tool for the job. TRUMPF TruTool Bevellers can also be used manually in either vertical, horizontal or even overhead positions or in any work station. We sell a full line of TRUMPF tools for all your metal working projects. These tools are fast and precise for all your weld seams. The Ironworker is an incredibly versatile machine capable of many different applications; still, it is possible to purchase the wrong ironworker. There are important considerations in the selection of an appropriate ironworker for your fabrication shop; determine the capacity, versatility and safety features available. Our Service Engineers specialize in Press Brake and Hydraulic Shear Repair, simple maintenance as well as in-depth rebuilds and upgrades. All electrical controls, pneumatic, hydraulic and lubrication systems require regular maintenance. If your Press Brake or Shear needs some attention, give us a call and we’ll implement a restoration plan today! At Fabtech Solutions, we stand with our customers in their time of need. 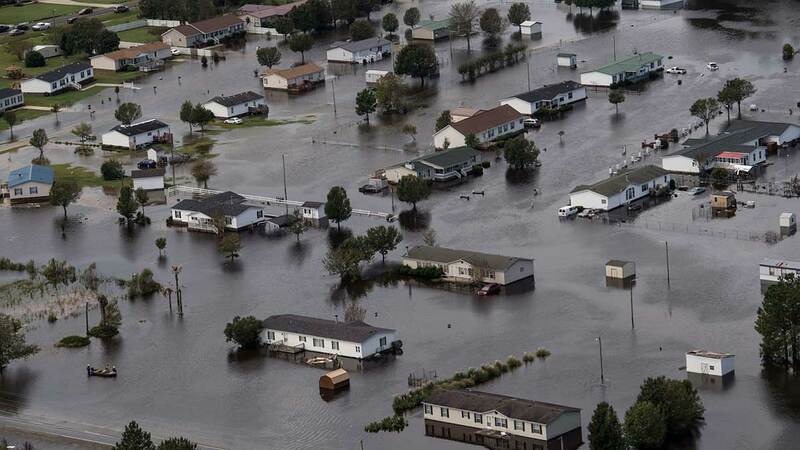 We know there is widespread damage throughout our service area and would like to help; we are offering 10% OFF any service that is a result of damage due to Hurricane Florence. Our service engineers offer mobile reclamation services that can improve hydraulic or turbine oils. We offer on-site and in-line filtration as a way to lower costs and keep your machinery operational, significantly reducing equipment downtime. 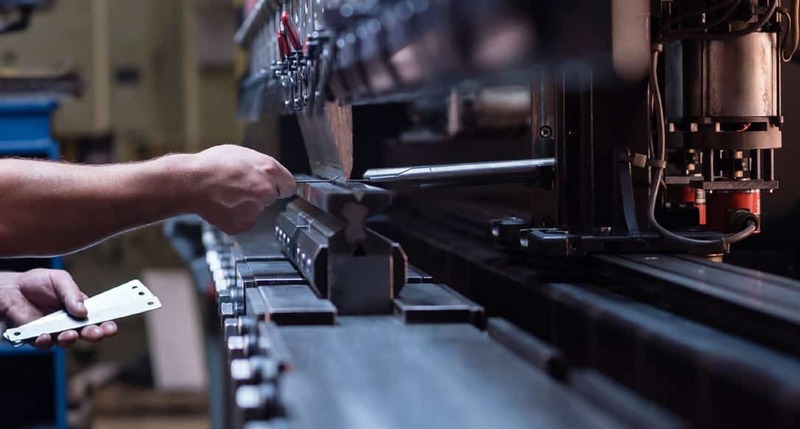 Are you concerned about the performance of your hydraulic press brakes?